. I’ve just realized that I haven’t talked about the girls for a while. I share them on my Instagram time to time. If you want to keep updated with them you can check @umaybike (Umay & Aybike) account on Instagram. But I am more a private person when It comes to my babies. But I don’t see any harm to share about the products they love the most. 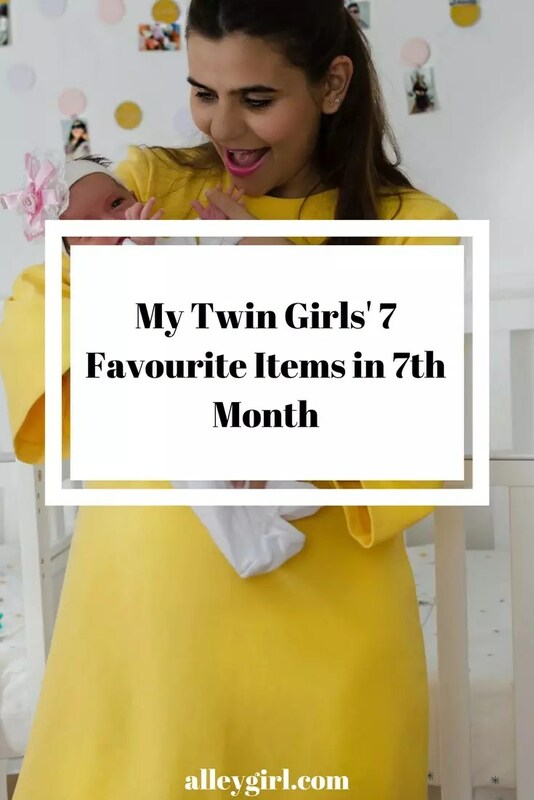 So check My Twin Girls’ 7 Favourite Items in 7th Month. Ok enough with my blogger work. Let’s talk about our favourite toys and products. Especially Aybike has the driest skin ever. It’s the best thing that rubbing some Coconut Oil to their skin before going to sleep. Just a few days ago Aybike had 3 days flu virus. After her fever went away she git this terrible rash on her skin. And I rubbed her body with coconut oil two or three times. After giving her a warm bath and putting to coconut oil for the last time just before she went to sleep. Next day, there was no rash at all. I generally buy this brand. But you can find plenty of other products. We were kind of late to start solid food for them. 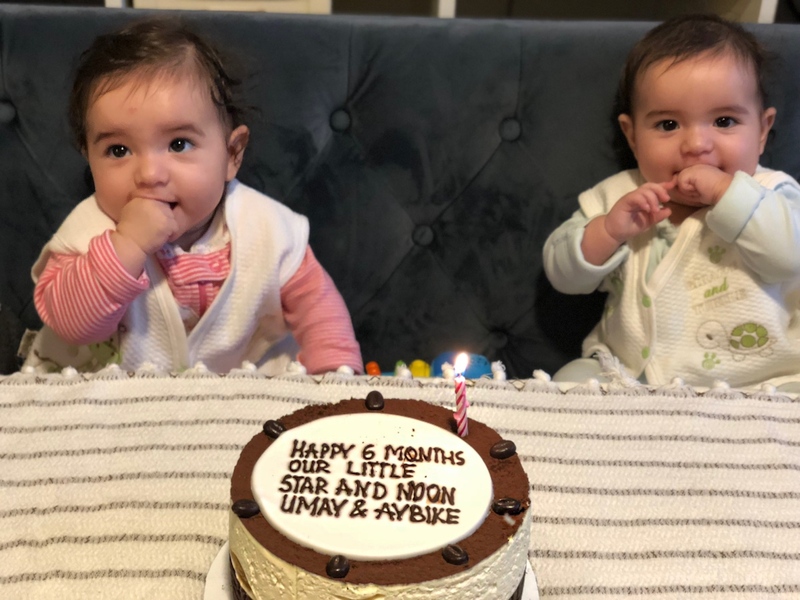 When we were our paediatrician office she told us to wait until 6 months. But when visit her for 6th months vaccinations she was surprised that we haven’t started it yet. I mean It’s a no big deal but I wish I just started to give them some fun stuff like this rice cereal. This cereal was their first solid food experience ever. I haven’t checked on any other brands but go with Gerber Rice Cereal instantly. I know the brand of their probiotics. I mean girls just love this cereal so much. I also give them oatmeal one. They are not a super fan of Oatmeal as rice but I love to open my options for their diet. I think Umay love the rice cereal most because when she eats it she makes this funny voices that she love them so much. I am gonna tell you something very very funny. So this play mat was a gift from our baby registry. I was so excited to see them playing on this mat. Around their second month, I started to put them down to see if they like it or not. They absolutely had no ideas what was going on with this. I try a couple of times and I gave up at the end. Then, later on, I decided to try it again when they are about 4 months old. They absolutely love it. It’s one of their favourite time to lay down under this play mat and keep reaching the stuff. My mother in law also adds a couple of other toys. They love it. And seriously It’s a lifesaver when I have to do something in the kitchen while they are playing with it. So we’ve received two of them. One of them from TinyLove and the other one is from Skip Hop. This toy is Aybike’ s favourite toy. When we buy a toy we buy for two of them but sometimes we see one them has so much love for a particular toy than the other one. Aybike keeps biting and playing with the ears of this toy. This toy is from VTech. We have 2 more toys from VTech. My girls love the lights and music from these toys. I always try to make them have a habit of less help from us. I don’t like to use rocker when they want to sleep. From the very beginning, I trained my babies to sleep by themselves. Of course I have unsuccessful days but in general, I think they are pretty good at independently go to sleep. But still, sometimes I want to sleep in this rocker. In those crisis times of screaming from the frustration of sleepiness. We just put them to this rocker, and they fall asleep in seconds. We have two rockers obviously but I think they love the one from Fisher Price the most. I bought this lamp when they were 2 months old. When I was a child I’ve always wanted one of these lights. I wasn’t lucky enough to have it back then but I have one for my babies. I don’t know If I really buy for them. 😂 Perhaps I really bought this for myself. I’ve just realized sometimes after they go to night sleep. Umay wakes up she generally doesn’t do that. Then I realized either I didn’t put their lights on or their lullaby. I think they really love their lights on. I bought this one from Amazon. It’s very reasonable price. It has so many 3 different colour options and different patterns. I can hear you that saying what about “Google Home”? Ok, I actually have Google Home almost at the same time of giving birth to my babies. It was a collaboration with Vogue September issue. Nothing to do with babies. But then, I realized I can find bedtime stories or lullabies for the girls from Google Home. You just simply say “Hey Google, Can you play some lullaby?”. It has this loop of the single song for I don’t know maybe for 4 hours or something. Girls love it so much. Either they love that light or lullaby. It almost a trigger for them to go to sleep. When I say the magical phrase to Google they know It’s time for the sleep. I hope you guys found my list works for your baby too. These are the thing I use every single day for my babies. I didn’t wanna add little stuff that useful but not for everyday use. Please leave a comment under so I can use your best experiences about these products or brands. This is not a sponsored post. All opinions are mine. I may earn a commission when you purchase something via my affiliate links.